In Faith in the Spotlight, Megan addresses how to succeed in your career while also staying true to your beliefs. She gives inspiring, real-life examples of why women can—and should—lead in the workplace. She also shares valuable insight and behind-the-scenes stories from her interviews with famous athletes, media moguls, entertainers, and more. Drawing on her experience, she offers advice for plotting a career path, negotiating job contracts, competing and succeeding with the best and the brightest, and navigating difficult situations while maintaining strong faith and values. She also writes about the importance of mentors, coping with rejection, handling high-pressure situations, and the ways being a Christian fulfills her role in a superficial society. 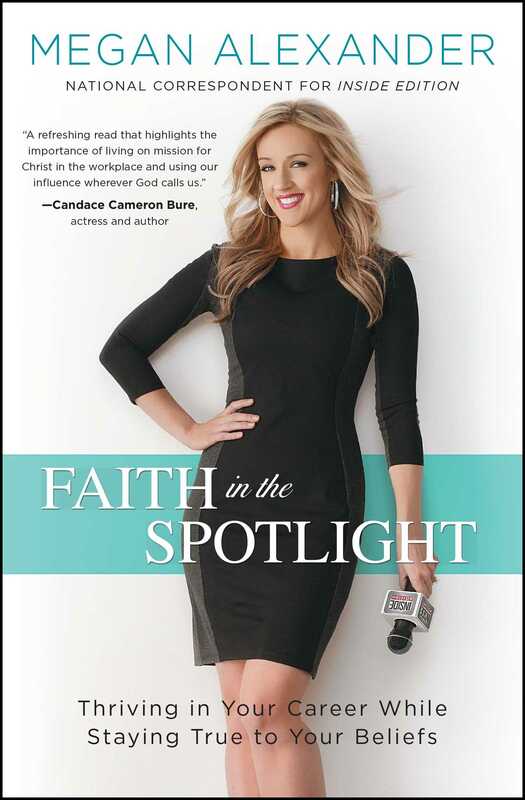 Faith in the Spotlight is an intelligent, thought-provoking book about achieving success, and will leave anyone empowered to dive into their career!